Firstly, to determine whether or not you are being greenwashed, it might be useful to determine what greenwashing actually is. Greenwashing is the deceptive use of green PR or green marketing to promote the perception that an organization’s products, aims or policies are environmentally friendly. Unlike the food you eat, there is a lack of organic regulations for cosmetics, and in some cases due to the complexity of calculating ‘organic’ in beauty products, there has been a proliferation of new brands that exaggerate their organic or natural status. Some contain very few organic ingredients at all, and others also contain quite a few synthetic ingredients that no green consumer would expect or want! (1) But its not just about ‘organic’, its also about claims that products are ‘completely natural’ or ‘free from chemical nasties’. It’s nonsense when companies claim to be “chemical-free” – everything is made from chemicals – preservatives, plants, people and the universe! (1) It is the synthetically made petrochemicals that are the ones to be avoided (see previous post). If the ingredients list states something like “Key ingredients are” and then a line of essential oils, then there is something deliberately being omitted. Where is the full ingredients list? Some companies like to use the tag-line “paraben-free” which is great – but what are they using as a preservative instead? And what else is in the ingredients list? The marketing focus is perhaps drawing the consumer into a false sense of security. Another clear message of suspicion is when you look at a particular company’s website to find out the ingredients list of a particular product, but none is given. Transparency is the key here. If the company is not willing to disclose the ingredients list on their website then it is likely that there is something to hide. Products like essential oil blends and balms are plant and plant/wax-based and made simply from cold pressed seed oils, steam distilled essential oils and beeswax. These can be 100% organic. 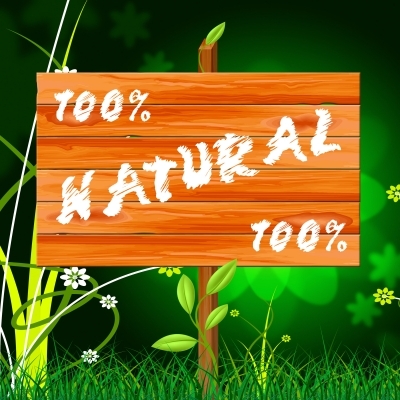 Natural ingredients used in beauty care – such as clays, minerals and salt – can not be termed ‘organic’ because they are not living organisms or the products of farming. However those used in NYR products are of the finest quality and are harvested sustainably. In NYR products the ‘functional’ ingredients such as emulsifiers (combining oil and water) and surfactants (foaming and rinsing agents) are processed from natural plant material (as opposed to being derived from petrochemicals). Next What can we do for Eczema?